Email your resume to Jennifer Galla at jgalla@cordia.biz. Are you looking for meaningful work? Cordia is hiring for both full time and part time concierge staff. This is the job for you. If you have excellent customer service skills, are self-motivated, professional and task oriented. Join our high performing team, in a fast-paced environment by emailing your resume. Cordia at GT Commons is seeking team oriented, dependable people to fill team- staff service positions in our Club Dining Room. Full and part time positions available. We offer competitive wages, flexible hours and benefits. This unique community provides employees the opportunity to work with independent seniors in an exceptional environment. Applicants must be at least 18 years old. 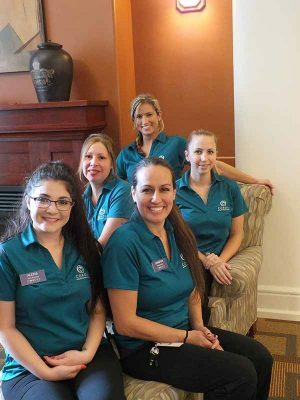 Cordia at Grand Traverse Commons is seeking team oriented, dependable people to fill Housekeeping positions in our Club. Full and part time positions, Monday thru Friday. We also have part time positions available for Saturday and Sunday. We offer competitive wages, flexible hours and benefits. This unique community provides employees the opportunity to work with independent seniors in an exceptional environment. Applicants must be at least 18 years old. Cordia at GT Commons is seeking team oriented, dependable person to help in our housekeeping and laundry department. Part time 24 - 30 hours possibly leading to a full-time position. This is a Monday thru Friday day time schedule. We offer competitive wages, flexible hours and benefits. This unique community provides employees the opportunity to work with independent seniors in an exceptional environment. Applicants must be at least 18 years old. Cordia Senior Living at the Grand Traverse Commons is seeking part-time Wellness Assistants for morning and afternoon shifts. Applicants must be motivated to learn and support progressive approaches to wellness and supervise or assist Club Members with their individualized personal care needs including ADLs, medication management & compliance. Excellent record keeping/documentation and a high level of confidentiality are critical. Experience is preferred, but not required. Successful completion of a certified nursing assistant course and the competency exam are required. Competitive wages and benefits offered. The Spa at Cordia is seeking a licensed Stylist for a part-time position at our beautiful salon! Competitive compensation - hourly plus commission and no weekends. Opportunity to build your business. Minimum of 3 years’ experience and a very positive, team oriented attitude with a desire to make a difference. The Spa serves our Club Members, their family and friends as well as the surrounding community. Your outside clients are also welcome. Submit resumés to lprice@cordia.biz.